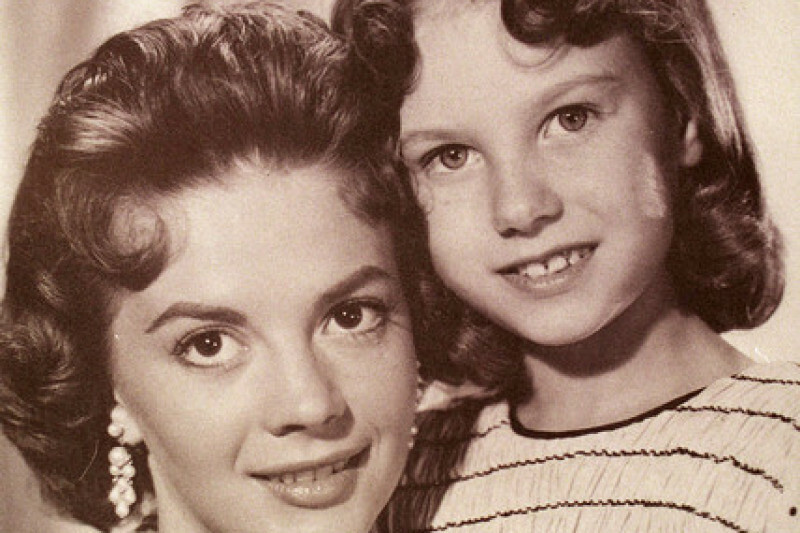 I couldn't sleep last night thinking about Lana Wood. I can hand on heart say that I think Lana is thee most inspirational woman I have met in my life and I admire her greatly for it. She is the epitome of a strong woman. But all strong women have weak moments, and Lana is no different. Lana has been through Bond & Beyond and has been evicted from her home of 7 years and has knowwhere to go. Lana is currently packing rapidly trying to get her belongings out of the property before the sherrif locks her out. She also does not have the money to put down for another house. This wouldn't be such an issue if Lana lived on her own, but Lana cares for her whole family, including her daughter (who is dealing with serious health issues and is battling with cancer), grandchildren and the many rescues she has. Everything is on her shoulders at the minute and nobody at Lana's age should be stuck in this position, especially after what she has been through. The stress of this for her is what worries me more than anything. As a friend I cannot watch her go through this on her own. She needs our help. I admire her as a woman, a mother, a grandmother, professional & a survivor of many things. But with that being said it doesn't make her invincable and those of us that care about her need to help our friend in her hour of need. This is to help Lana out of her current situation and get her in a new home for her and her family. Lana is sister of Hollywood Actress Natalie Wood, who famously co-starred with her sister in The Searchers starring John Wayne, and is known for her roles as "Plenty O'Toole" in the James Bond movie "Diamonds Are Forever" starring Sean Connery. Even if you cannot donate, please share on your facebook, Twitter etc. I cannot begin to express how deeply grateful and moved I am by the outpouring of love and generosity! Please keep us in your prayers, and don't forget I haven't met the goal yet. April 5th. I will be locked out. I seriously didn't think I'd make it through this part of my life. It felt like the end. You have literally saved a life at a time when my family and I were hopeless..
Dearest Angels! Do you realize I would be living under a bridge if not for all of you! I finally found some dining room chairs at a thrift shop, got them put under our patched table and two have already broken! I think my boys need to learn to be a bit more gentle with chairs! I'm so grateful simply to have them and be able to sit at a table to have take out pizza! I've also spent several days now without crying. Believe me it's a big step. My osteo and rheumatoid arthritis has escalated to such a point, it's really hard to walk to the handicap cart in the market. But I'm so grateful to be able to buy groceries, it certainly dulls the pain! I'm still in dozens of boxes, and trying to get the household set up. Determined to make this a home and not just a shelter. Although a shelter is a great blessing and relief. I know I've received negative comments as well as the blessings and love which greatly outnumbered the negatives. I never thought I would be planning my daughters funeral. But here I am...in deep desperation and agony. They are in deep denial and for myself and her husband, we are in deep depression. Evan will be laid to rest hopefully this week. We desperately need monetary contributions along with your love and emotional support. I can only pray that I can do what is needed for the children and eddie while I have time on this earth. Please help so Evan can have a decent funeral. Nothing fancy. Just basics but done with great love. I don't have money, but I have a large home and it's just me and my 2 sons. I live in central Missouri, if you need a place I'd be happy to give you one until you are on your feet. Someone did that for me 23 years ago when I was living in a car. Where's Bob Wagner and other Hollywood millionaires ? I am sorry to hear you have fallen on hard times. To the ones criticizing Lana about not working, did you hear, and I mean really 'hear' this story. She is 71 years old, and not in good health. Her daughter has cancer, the kids are under age, and the husband works constantly. Don't think in the blink of an eye this cannot happen to you. "There but for the Grace of God, go I". The old saying is true, "...most of us are two paychecks from homelessness...." too bad some the Hollywood elite doesn't step in and help them out! This is so disgusting to see people on this pannel blasting this poor woman for not working. How could you? Degenerate scumbags, if you don't want to help at least have the decency to shut your dirty mouth. This is beyond me how this heartless idiots have the guts to make such cruel comments. Lana, you are clearly a pillar of strength with a compassionate heart! I admire your perseverance & strength! My funds are extremely limited so I can't donate. Sending Prayers & Blessings from Minneapolis to you & your amazing family ♥ All the best to you all, Lynn ♥ P.S. 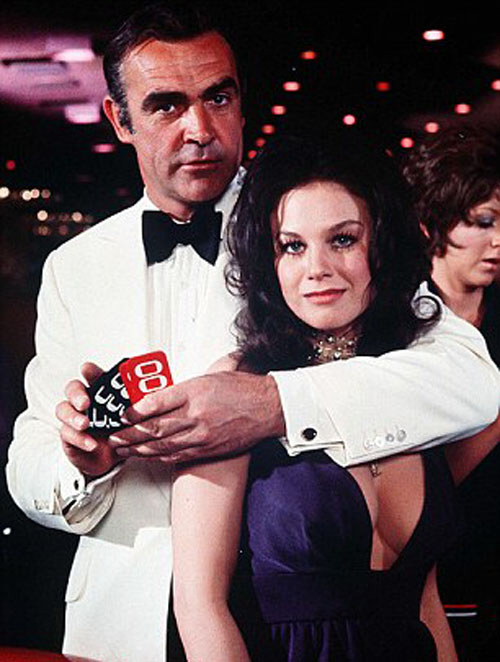 You were great in my favorite Bond film & I loved Natalie, especially in "Bob & Carol and Ted & Alice." Lana, Cannot donate but we have a home to share. Just my husband and I. House is bigger than we need. Near Chicago quite little town. There are everyday people in much worse straits and homeless, in danger and the elements on the actual street who can't afford a motel room with a bed, bathroom or even food or clothes. No one helps them because they are not a celebrity. IMDB says Lana is currently for 2017 working on 4 films,"Wild Faith" (post-production) playing Opal, "Byer's Bog" in an unnamed role, "Holly, Jingles and Clyde 3D" playing Mrs. Claus , and "The Executive" (filming) playing Margo Steel. In 2018 Lana also will be working in and playing in a movie called "Rachel" playing Rebecca. Unlike many struggling or homeless folks, Lana is getting some jobs and paychecks. I'm a compassionate person but I don't get why we treat celebrities like some special deity or royalty that we worship and treat better and why people and media are donating money and offering to someone who is a stranger to them, to let Lana stay with them in their house (per some comments) when these same people would never donate to or offer to let an everyday person who is also a stranger to them in the same or worse situation to stay with them in their homes. I can only laugh at the morons with anger, and jealousy issues blasting this poor woman. How pathetic you all are. So sad to see you struggling when you should be retired and enjoying your grandchildren. I'm so sorry, I too am one paycheck away every month from possibly losing everything, so I'm can't donate, but I hope my prayers for you can be of some help. how can someone who has appeared in 300 shows and movies be so broke? I am confused - according to IMDB, Lana Wood is currently filming, she has 1 project in post production, 1 in pre production, 2 upcoming and has been actively acting since 2008. I'm sorry, but can none of you get "real" jobs? Do you really think that you are too special to work? If your sister were alive I would hope she would suggest the same and not ride her coattail. Sickening..but you go for it. Is this some sort of joke? You need some sort of donate job applications instead of taking money from these people. and you can come live with me. I live in Albany, NY. and there are a lot of colleges and universities. You can probably come and be part of the University at Albany community. we have a performing arts program that needs some muscle, and Lana wood probably is the person that can provide that talent which is so desperately needed on US campuses. You can stay with my family anytime. 818 836 1895. God Bless. It will be ok.
Lana , I hope you will consider going to another area, I am from So. Cal. but cannot live there now, way to expensive! This money could be life changing in another area! but around LA, it wouldn't do that much! just prolong! I lived in AZ for a few yrs. lived in 2000sq. ft. for 850.00 a month. In Kingman, near a golf course. nice area! Clarkdale near Sedona is nice also. I ended up in Northern Cal. because I have family here. and it is not that expensive, not like LA thats for sure! Lana, dear...I certainly hope you are doing better months down the line, though it is. I have a deep love for your sister Natalie and have never felt justice has been served in tragic drowning. How devastating this loss has had to be in your life. We can really only imagine. I hope this small gift helps and hope for better times for you, Lana.